I failed most of my goals. There, I said it. Following the format of last year, I had three main goals. 1. I wanted an internship with a literary agency. 2. I wanted to work for a library. 3. I wanted a literary agent. To be honest, I got SO, SO close to most of these goals. So close that I feel like crying just thinking about it. But it ultimately didn’t work out. Why? Well, there are numerous reasons why. Firstly, adjusting to my new job (while keeping my old job) allows me very little free time. Then I got sick. Like really, really sick. To be honest, I’m still super sick, but I’m currently undergoing a lot of health assessments to figure out what is happening to me. It’s scary not knowing. It’s worse feeling like something unknown has such a negative impact on my life…and there’s nothing I can do about it except get more tests done so I can be healthy again. (Not to mention medical tests cost a lot of money.) My savings for conferences has gone toward medical expenses. Basically, it didn’t matter that I took advantage of every opportunity I could…because most of the opportunities I received I couldn’t take advantage of due to health, finances, and other issues. Basically, this year failed. I failed. I failed so hard. I’m trying to be kind to myself though. I mean, I didn’t completely “fail” in 2017. 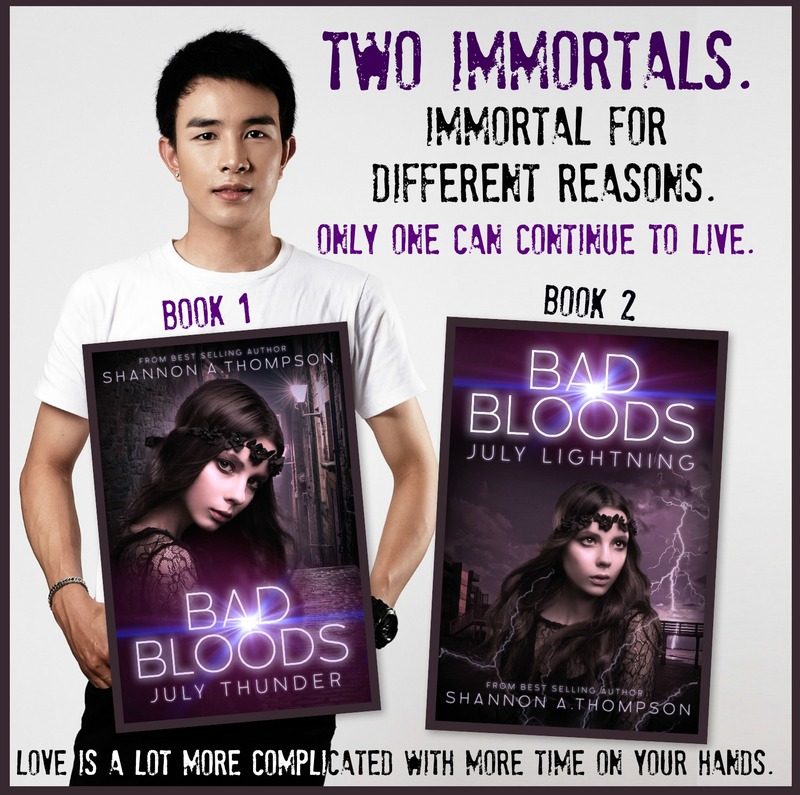 Clean Teen Publishing released Bad Bloods: July Thunder (#3) and July Lightning (#4). 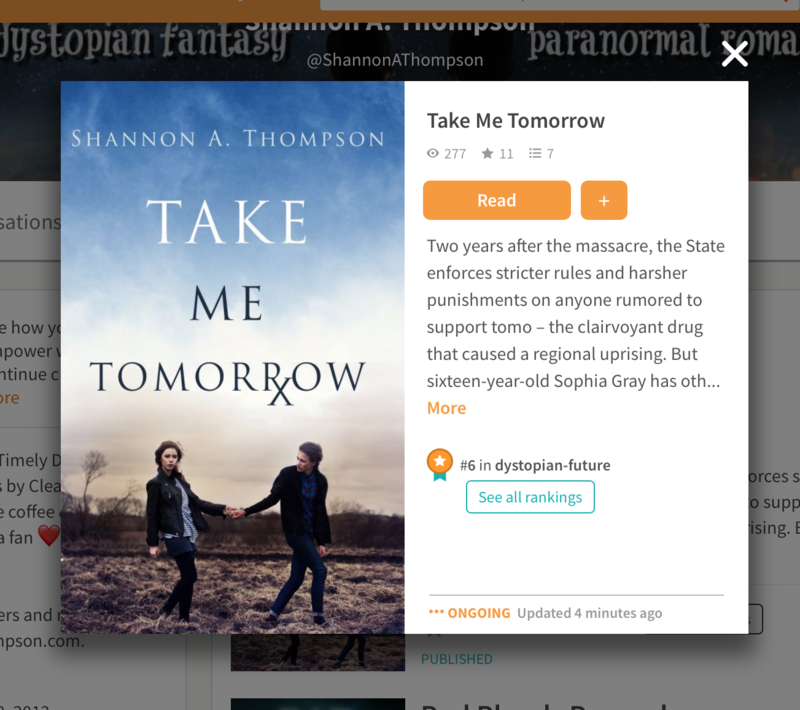 My first audiobook released! I revised one of my books three times. (I’m determined to make this book work.) And I began writing my first historical. I attended my first writing retreat, joined SCBWI (and an in-person writers group), and began a new job as a publicist for a YA/MG publisher. As an editor, I worked with some amazing authors, and I was featured in YASH and signed books at BFest in Barnes & Noble. On top of that, I was invited to speak at Wizard World Comic Con again! (Oh, how I wish I could’ve attended.) Denver Comic Con also featured my monster panel, even though I couldn’t attend last minute, but fellow Clean Teen authors enjoyed it, and that makes me happy. So why do I feel so awful? It hurt so much watching opportunities pass me by. It still hurts. But I’m grateful that those offering opportunities thought of me in the first place. I’m hoping I’ll have more opportunities in the future when I am healthy—and have more time—again. I’m not giving up. Just because I failed my goals this year doesn’t mean I can’t succeed in those goals next year. In fact, I’m holding onto my 2017 goals as I move into 2018. I’ll probably add new goals, too! Who knows what 2018 will bring? Maybe I’ll repeat a successful 2016. Maybe I’ll repeat my terrible 2017. Or—and here’s a crazy thought—maybe 2018 will be 2018, with all its failures and accomplishments and surprises. Not every year is going to be successful and wonderful and feel amazing, but you can always try your best. And that’s what I’m planning for 2018. Here’s to working as hard as I am able to and keeping my chin up. I hope you keep trying, too! Keep the faith. You came this far in spite of everything. Be thankful for what you had achieved. Learn from your experiences. Everything happens for a reason. Merry Christmas and a Happy New Year! Thank you for your kind words. ❤ Merry Christmas and Happy New Year to you as well. U R welcome. As Dory the blue tang fish says,,”Keep swimming”. It’s frustrating when you do the work and don’t get the results. But it sounds like you put in the work so congratulate yourself for that. Absolutely! Working on being kinder to myself. Thank you for reading and commenting. Sorry your 2017 didn’t go well and hope you feel better. Honestly, I’ve seen a lot of people say that this year was a disappointment in terms of progress and goals. Not sure if it helps to know you’re not alone there. I’m with you on the hoping. Weird that so many authors had a rough time. Those opportunities were ones that probably, in the long run, weren’t the best for you. You WILL get more chances to get an agency internship and to find an agent — the right situation just hasn’t presented itself. And your actual accomplishments are stunning, really. Think of all you’ve done at such a young age. You’re doing what older people call “putting in my time…” and paying those dues. When you break out and become a famous novelist, you can tell this authentic story about the way the world really works. It’s hard. It’s not fair. But it gives back, too. I’ve been following you since 2012, I think. I ha e gotten so much from you, used you many times as an example to my students, bought and read your books, and you know…I am so grateful to you. You’ve touched my life. Your honesty in the post is so appreciated. It seems like that’s what happened. You took the opportunity that was the most important: see to your health. Keep going!!! We love you. Absolutely! I am working on that positivity thing. 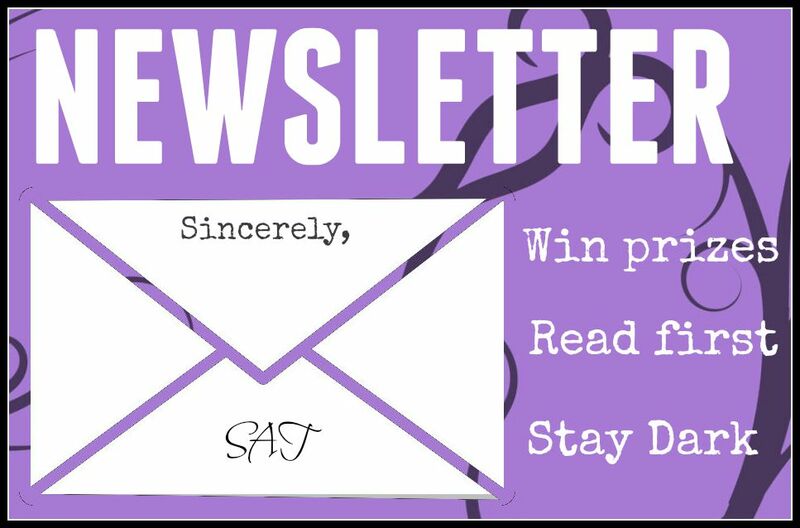 😉 Thank you for reading and commenting! Wish you all the best regarding your health! I too seem to have failed most of my 2017 goals that I’ve planned for myself (not writing, but overall goals), but I have gotten close to many. Thank you so much! It’s been a little rough, but I’m hoping I get some answers soon. 2017, it seems, was really rough on a lot of people for a lot of reasons. But I think focusing on what you said is important. The “failing” shouldn’t matter as much as the fact that we tried our best and got close and haven’t given up. Boy, do I know how you feel! But I can’t help thinking your serious health problems have taken so much energy that you couldn’t match those other goals. Especially while working two jobs — yikes! Take care of yourself, Shannon. I hope you get some clear medical answers that will let you get your mojo back. Thank you, Deby! I’m concentrating on my health first…then I’ll see what I can do about writing goals next year. Your kind words help! It’s totally okay not to meet every goal you set for yourself this year. Even if you’ve made progress towards that goal, that counts for something right? Think of the progress you’ve made and how far you’ve come instead of focusing on what goals you met or didn’t meet. Hope you have a wonderful 2018! Unfortunately, I’m still pretty sick. I’ve been bouncing back and forth between specialists, so I’m hoping they figure it out, but right now, I’m just trying to hang in there. But you’re right! I should concentrate on the positives, not the negatives. 🙂 Thank you for your encouragement! Wishing you a speedy recovery!! Health comes first, you can go for your goals again. Thank you! I truly appreciate your kind words. I hope 2018 is great to you, too!